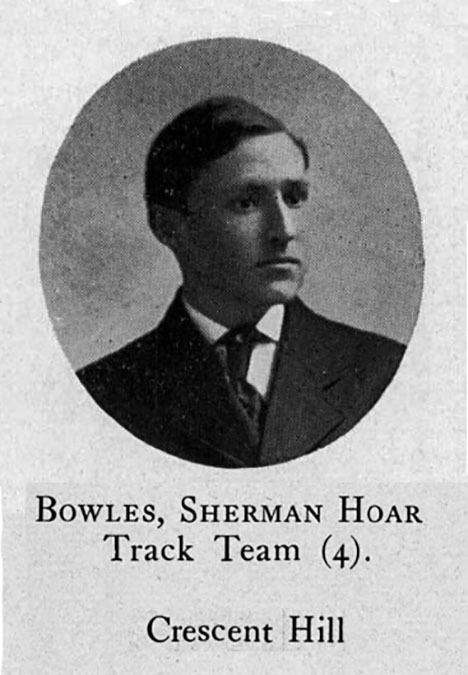 Sherman Hoar Bowles was born on April 24, 1890 in Springfield, Massachusetts. His father, Samuel Bowles III, was born in 1851 in Springfield. His mother, Elizabeth Hoar, was born in 1854 in Concord, MA, where her childhood friend was the author Louisa May Alcott, whose classic book, "Little Women," featured a character, "Beth," that was based on Elizabeth Hoar. His parents married on June 12, 1884. They had two children, Samuel (b.1885), and Sherman (b.1890). They lived in the Bowles' ancestral mansion at 1 Crescent Hill in Springfield. The father was publisher of The Springfield Republican, a newspaper founded in 1824 by the great grandfather, also named Samuel Bowles (1797-1851). During the Civil War, Samuel Bowles III had hired Edward Hunt Phelps (1842-1897) to be the editor of The Springfield Republican. Phelps set a standard of journalist excellence that impressed the entire industry. Horace Greeley, the famous editor of The New York Tribune, said "The Springfield paper is the best and ablest journal ever published on this continent." In 1872 Edward Hunt Phelps left The Springfield Republican to become the editor of a rival newspaper, The Springfield Union. In 1878 he bought The New England Homestead Magazine. 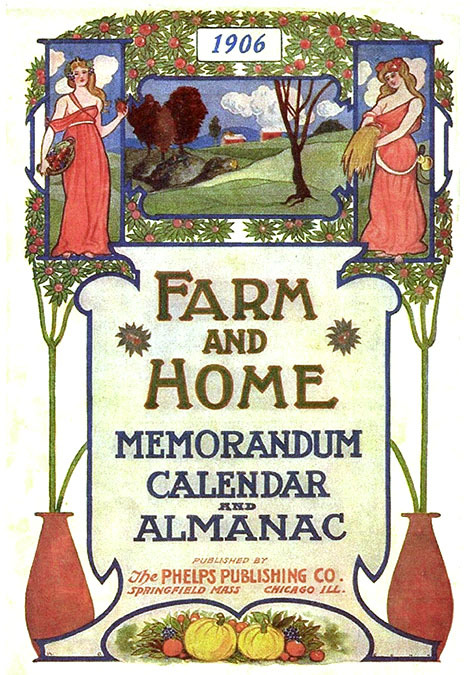 In 1880 he founded two more magazines, Farm & Home and The American Agriculturalist. 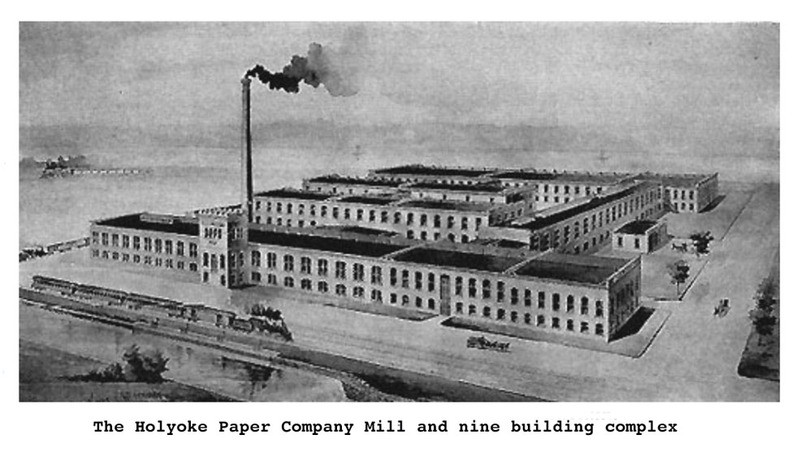 As Springfield's publishers grew, they consumed a massive quantity of paper, so in 1891 Bowles and Phelps formed a partnership to build their own paper mill. 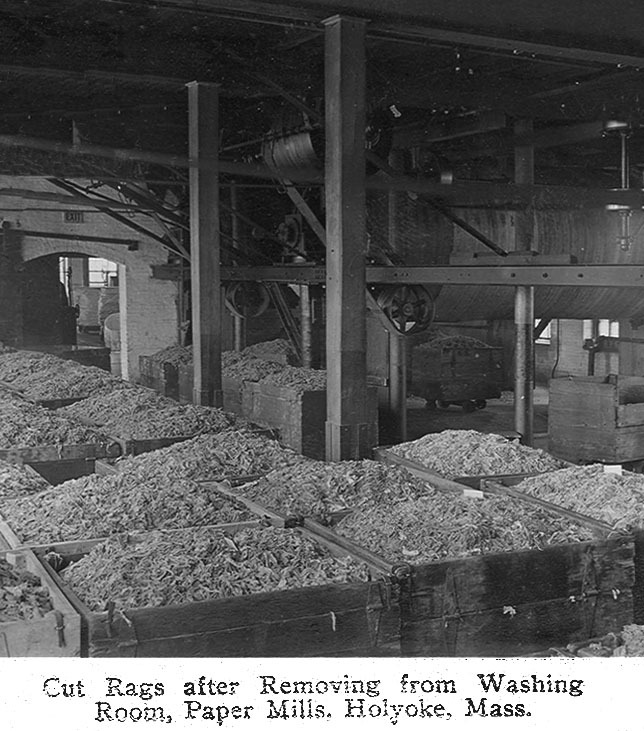 The manufacture of paper involved boiling wood and rags into a pulp, which is bleached with Chlorine. 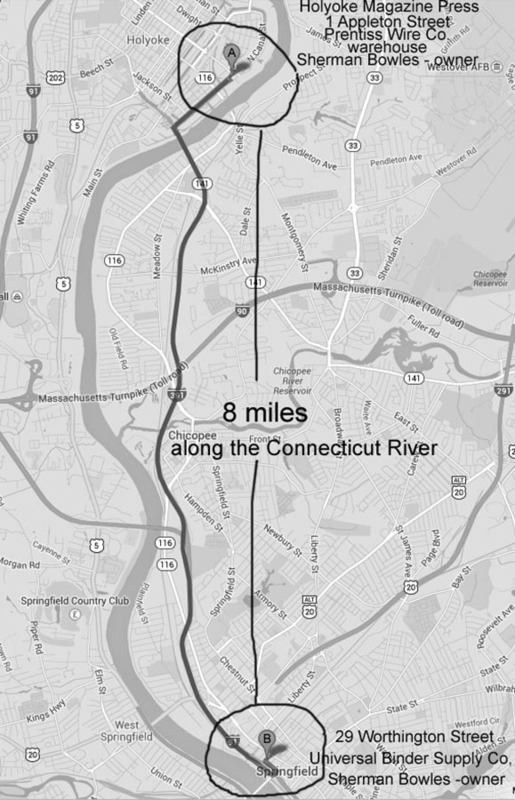 Unfortunately Chlorine happens to have an obnoxious smell, so to preserve property values in Springfield, the new factory was built eight miles north along the Connecticut River in Holyoke, MA. The finished paper was delivered by river barge and train to Springfield printers. 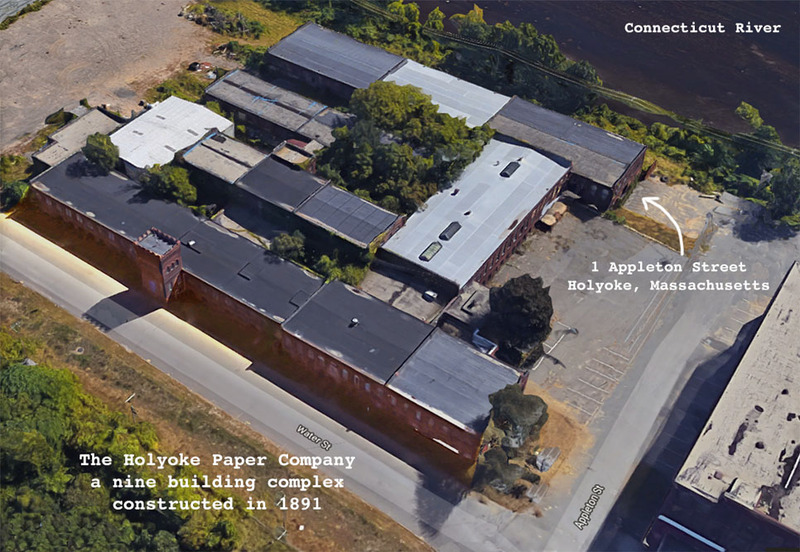 The new mill was called the Holyoke Paper Company. It was designed to manufacture slick paper for Phelps' magazines, as well as newsprint for the Bowles newspaper. In 1891 Edward Hunt Phelps retired and sold the company to his editor, Herbert Myrick (1860-1927). 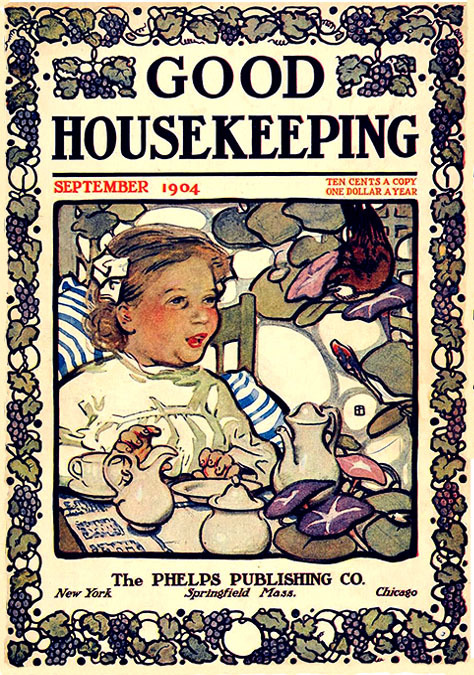 In 1909 the new owner acquired the magazine Good Housekeeping. 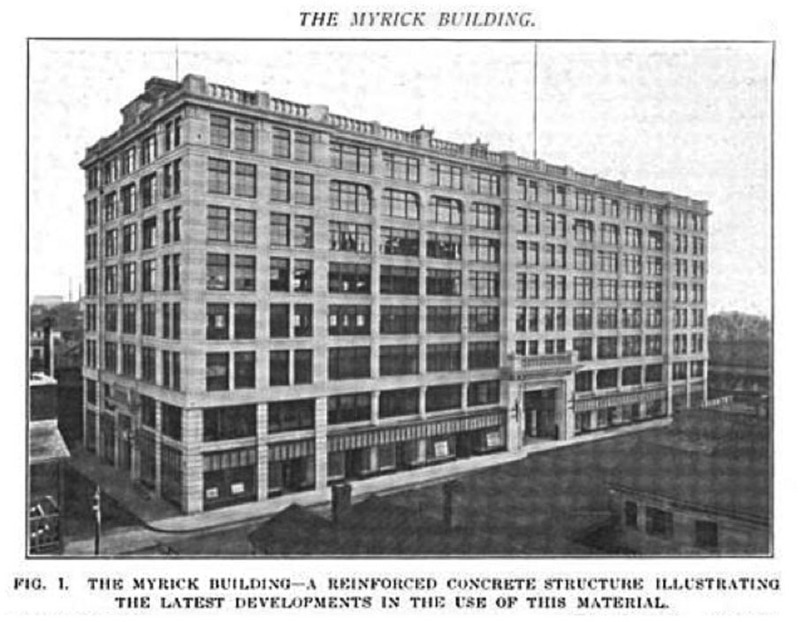 That same year he built the Myrick Building at 29 Worthington Street in downtown Springfield. 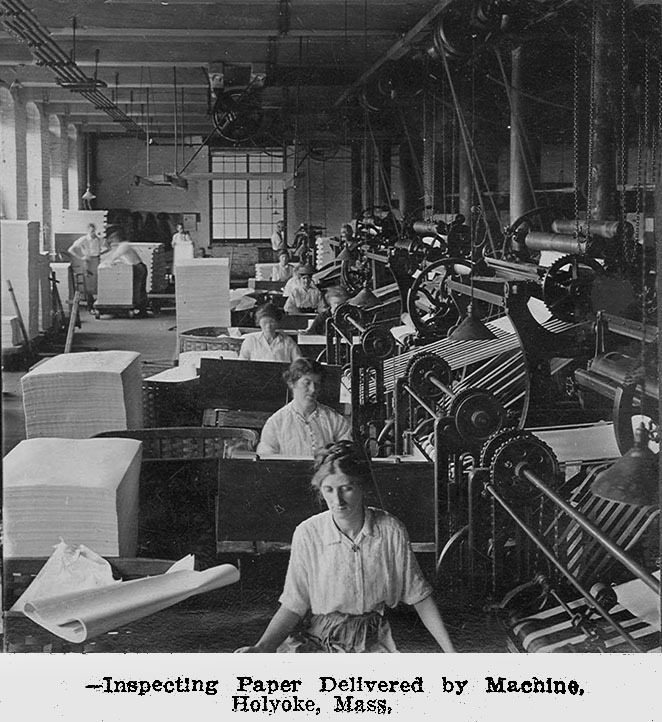 The building became the center for the entire local printing industry with rental space for binders, cutters, staplers, engravers, stationers, and presses. 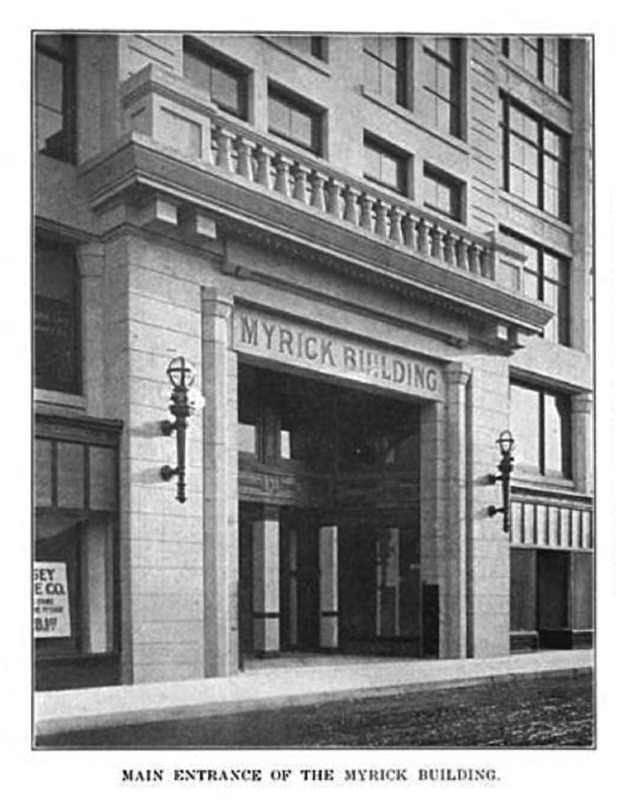 As the tallest building in Springfield, the Myrick Building was a proud local landmark, which was also known as the Phelps Publishing Company Building. 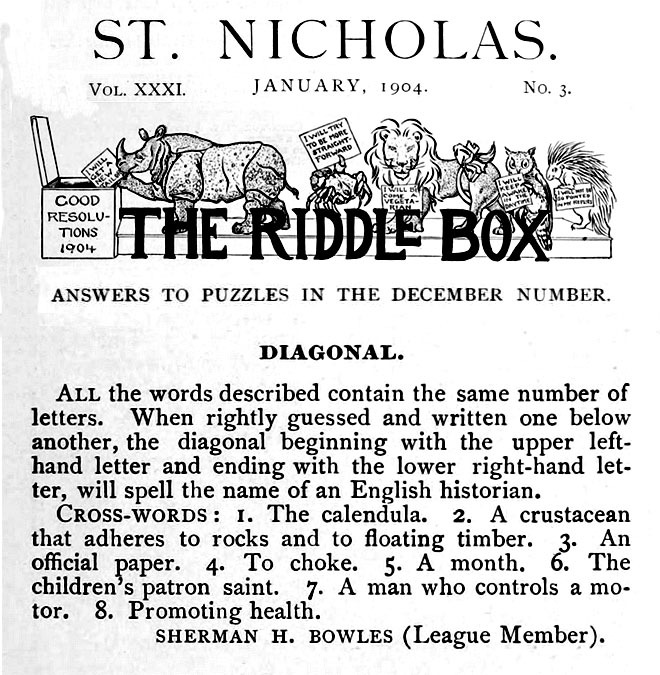 At the age of thirteen Sherman Bowles made his publishing debut when he wrote a clever puzzle that was printed in the January 1904 issue of the children's magazine, St. Nicholas. Sherman Bowles attended Springfield Central High School and Phillips Academy in Andover, MA. In September of 1908 he began to attend Harvard College, where he studied journalism. In his senior year he became business manager of The Harvard Crimson, a school publication. 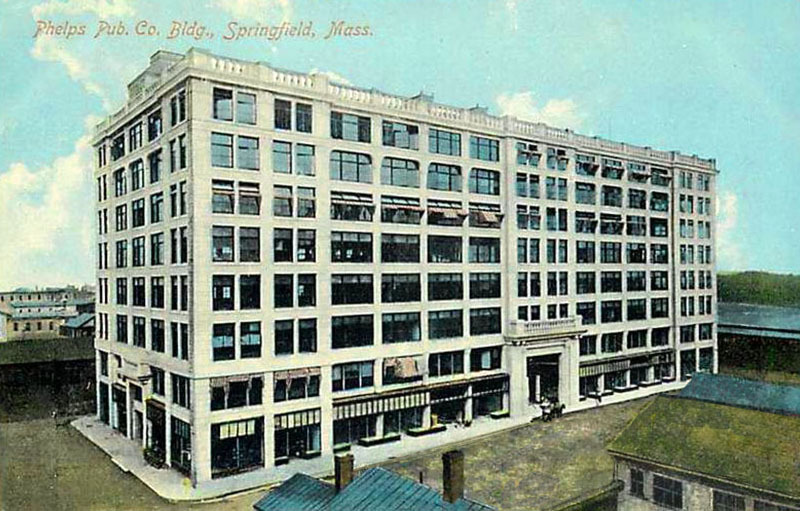 In 1910 The American Trade Index listed the Phelps Publishing Company as the producer of Farm & Home, The New England Homestead, and Good Housekeeping in the Myrick Building at 29 Worthington Street, in Springfield. The company business manager and treasurer was James Archibald Falconer (1881-1952). He was born on October 28, 1881 in Elgin Scotland and come to America in 1904 with his parents, Alexander Falconer (b.1837) and Elizabeth Falconer (b.1843). 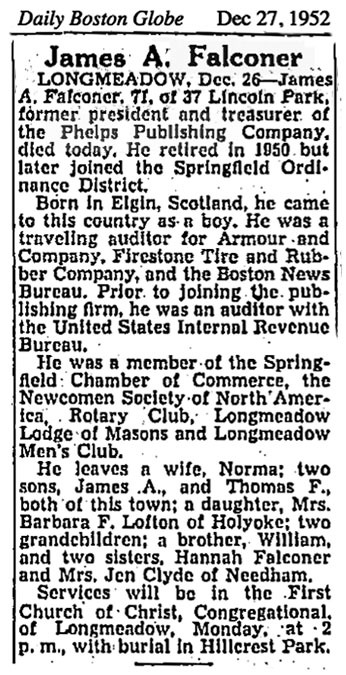 He became a traveling auditor for the Boston News Bureau and then joined the Phelps Publishing Company as an accountant. On October 8, 1919 he married Norma Farnham (b.1895) and had three children, James (b.1920), Thomas (b.1923), and Barbara (b.1927). In 1911 the Phelps Publishing Company sold Good Housekeeping to William Randolph Hearst (1863-1951), who at that time owned a newspaper publishing empire and also controlled the nation's largest distribution system, ANC (American News Company). In June of 1912 Sherman Bowles graduated with a Bachelor's degree from Harvard, and then joined the staff of his father's newspaper, The Springfield Republican, located at 207 Main Street. After two years he left Massachusetts in 1914 to work as a circulation manager at The Philadelphia Public Ledger. 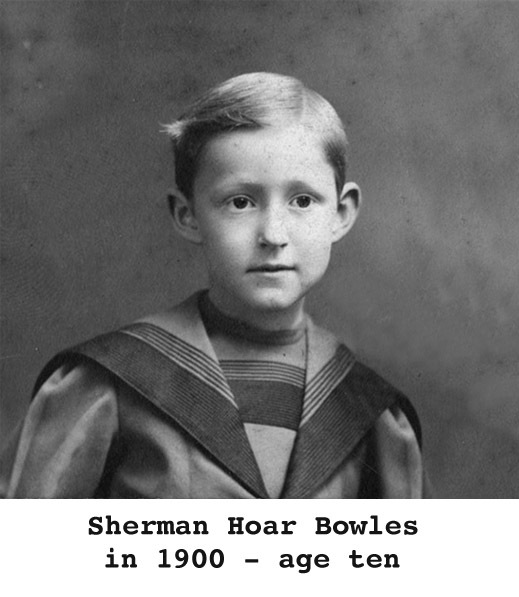 On March 14, 1915 his father, Samuel Bowles III, died at the age of sixty-four, after which Sherman Bowles returned to Springfield to become business manager of the family-owned newspaper. On June 5, 1917, during the Great War, Sherman Bowles reported for draft registration. He was recorded at the time to be unmarried, twenty-seven, tall, slender, with brown eyes and brown hair. He served as a Lieutenant in the Marine Corps, 5th Regiment, and was stationed overseas from May to November of 1918. He was honorably discharged on June 24, 1919. He returned to Springfield and became the publisher of his family newspaper. He was a large man, who walked with a pronounced limp. He was a rugged and eccentric individualist, who preferred to do everything his own way. One day he met a young man who asked him for a job. "You're hired!," Bowles said, "Now, what's your name? What kind of job do you want? Any training?" The youth said, "I graduated from Harvard." Bowles replied, "Oh, you did? You're fired! Beat it!" The boy stammered out. "W-what's the matter?" Bowles said, "I knew the minute I saw you that you went to Harvard. I went there myself and I've been trying to hide it ever since. But you can't hide it. I'll tell you what! If I find an opening in the circulation department collecting pennies from newsdealers, I'll let you know." During the "roaring twenties" the nationwide distribution of newspapers and magazines was controlled by organized crime. It was under such a system that Sherman Bowles built his publishing empire. He ordered the construction of a modern printing plant at 32 Cypress Street, and oversaw a circulation war that resulted in his hostile takeover of all local papers, The Springfield Daily News, The Republican Morning Union, The Democratic Evening News, and The Independent Sunday Republican. His newspaper monopoly controlled a combined circulation of 280,000. Sherman Bowles used his growing financial leverage to also gain complete control of the Phelps Publishing company and Holyoke Paper Company. In 1924 his mother, Elizabeth Hoar Bowles, died at the age of seventy. In 1927 Sherman Bowles married Esther Johnson. She was born in 1897 in Irvington, New Jersey. They had four children, Francis (b.1928), Elizabeth (b.1929), Amy (b.1932), and John (b.1935). They lived in his old family mansion at 1 Crescent Hill in Springfield. On July 6, 1927 Herbert Myrick, the owner of Phelps Publishing Company, died at the age of sixty-six. 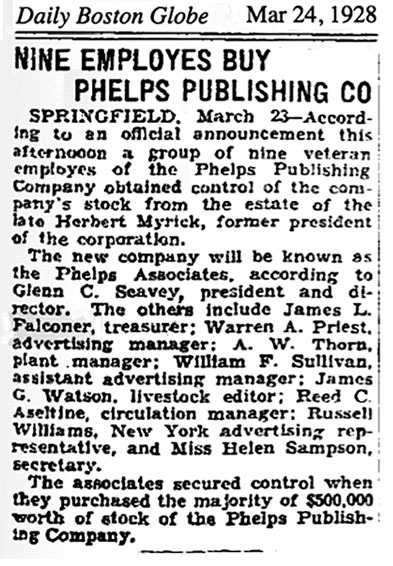 Eight months later, on March 24, 1928 The Daily Boston Globe reported a group of nine veteran employees had paid $500,000 to purchase the majority of stock in the Phelps Publishing Company from the estate of Herbert Myrick. Their new company was named Phelps Associates, and the new company treasurer was James A. Falconer. The credit to finance this historic purchase was provided by Sherman Bowles, who thereby owned fiscal control of Phelps Publishing Company. The stock market crashed on October 24, 1929. In the 1930s during the Great Depression, everyone faced hard times, including newspaper and magazine publishers, who were devastated by lost advertising revenue. One of the only bright spots in publishing was the field of pulp magazines. They sold cheap thrills for pocket change to an idle public that was hungry for escapist short stories. 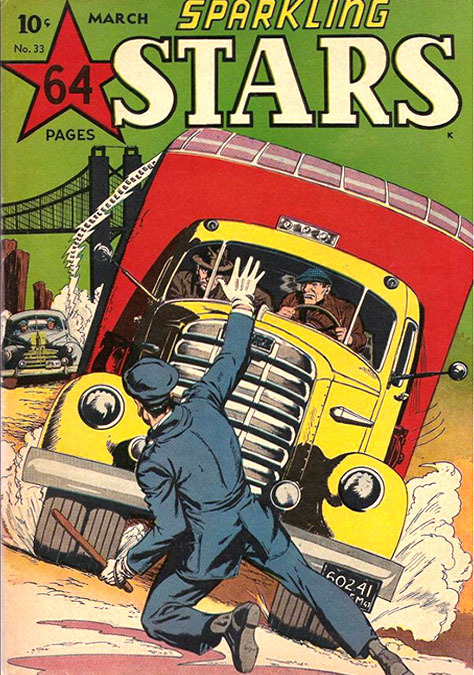 The production costs were low and there was no dependence on advertising, so the pulps made millions while newspapers and slicks were running on credit. Although Sherman Bowles did not produce his own pulp magazines, he worked with ANC's affiliated distributors to extend operating credit to several pulp publishers in return for fiscal control. ANC's affiliated distributors included Moses Annenberg (Triangle), Paul Sampliner (Eastern Distributing), Warren Angel (Kable News), Irving Manheimer (PDC), Harry Donenfeld (Independent News), and Michael Estrow (Leader News). 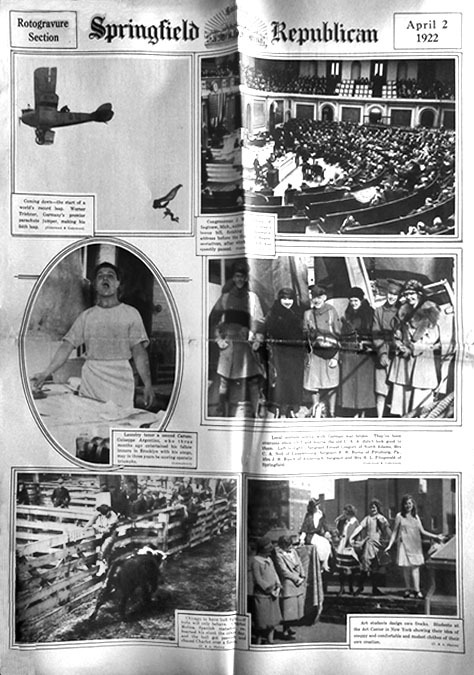 The April 1930 issue of Variety reported, "Munsey's idea works out. Two years ago the Frank A. Munsey Company started something new, Thomas Wood, the owner, is said to be getting out of his financial difficulties, but writers who have claims must contact James A. Falconer, treasurer of the Phelps Publishing Company." 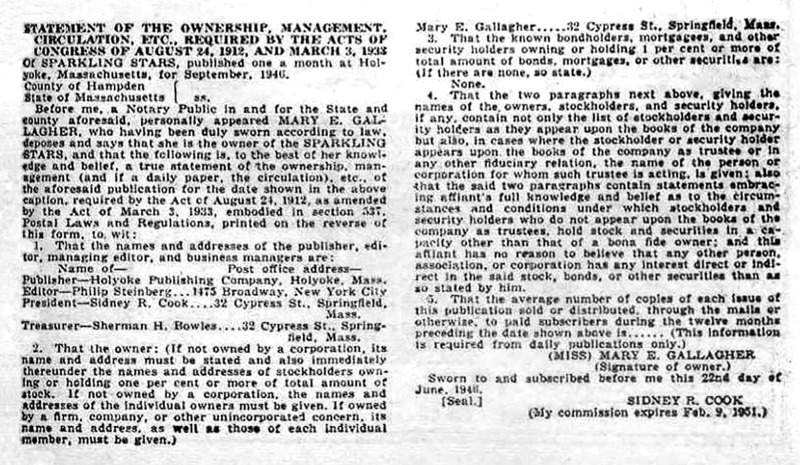 This public notice documents the reliance of Munsey Magazines on operating credit extended by Phelps, which by that time was under the fiscal control of Sherman Bowles. The October 1931 issue of the pulp magazine Sky Birds was produced by Magazine Publishers Incorporated, which listed Warren A. Angel as president, James A. Falconer as treasurer, and the Corporate Secretary was Robert J. Boyle, who happened to be Warren A. Angel's private lawyer. This company would soon become Ace Magazines. Again, the fact that James A. Falconer is listed as the company treasure indicates this pulp publisher was also operating on credit extended by Sherman Bowles. 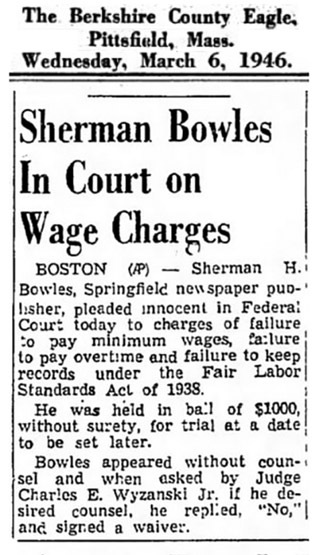 By 1935, even though Sherman Bowles had monopoly control of all five local newspapers, as well as the Phelps Publishing and Holyoke Paper Company, he still faced difficult challenges from labor unions, with whom he stubbornly refused to negotiate in good faith. Like many industrialists of his time, Sherman Bowles preferred to act as a benevolent authoritarian, who was above the rule of law. In 1935 his business faced a crippling months-long labor strike. When protesters attacked his home on Crescent Hill, he moved his wife and children to a new home on Highland Street in Marshfield, MA, while he remained in defence of his ancestral. In 1936 the Connecticut River overflowed and flooded the Central Valley region, which suffered power outages and blocked roads that led to a shortage of goods, including newsprint paper. According to The Hartford Currant on March 22, 1936, Sherman Bowles, publisher of the Springfield newspapers, supplied 25 rolls of newsprint to the presses of The New Britain Herald, so they could resume printing during the emergency. In 1938, according to the Printing Trade Journal, the Phelps Publishing Company, whose president was James A. Falconer, printed over six million magazines every month, which were distributed nationwide by ANC and its affiliates. 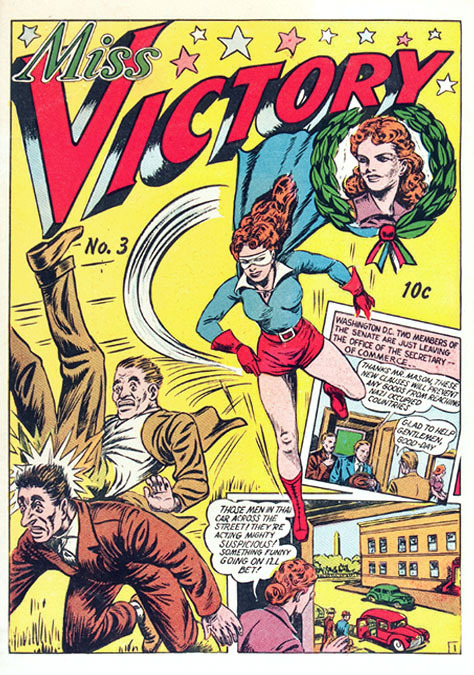 After extending credit to publishers of pulp magazines, Sherman Bowles expanded into the world of comic books, which in 1939 were enjoying phenomenal sales because of Superman's popularity. 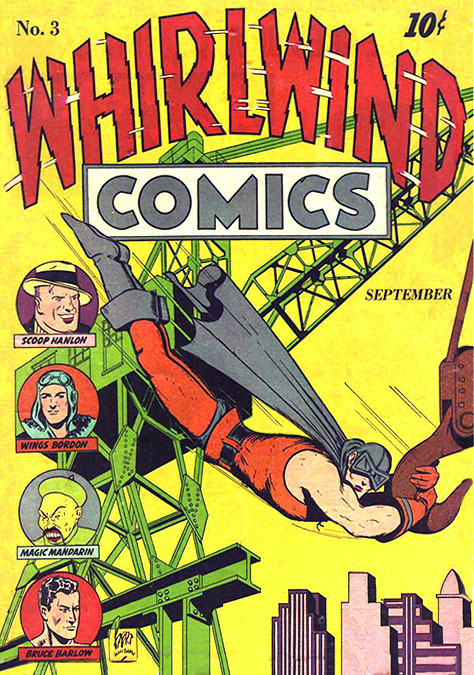 The June 1940 issue of Whirlwind Comics (Volume 1 - Number 1) was published by Nita Publishing Company with executive offices at 381 Fourth Avenue, which was the business address of publishing partners Isaac Wise Ullman and Frank Z. Temerson, also known as Ultem. The company name "Nita" was derived from Temerson's sister, Etta "Nita" Temerson. The indicia of the comic listed the printer at 1 Appleton Street in Holyoke, which was the address of the Holyoke Paper Company. 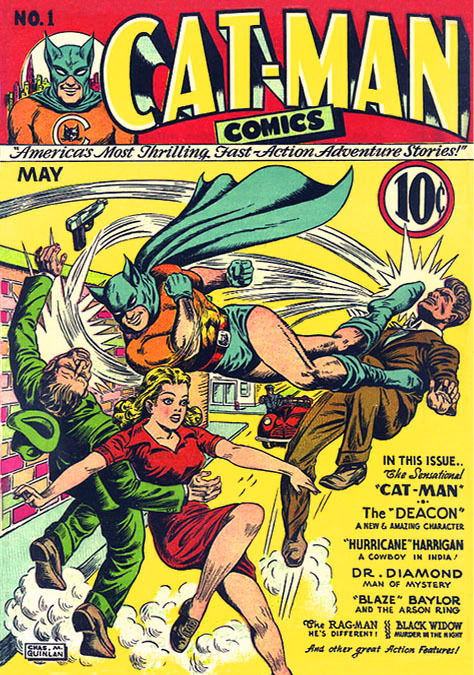 The May 1941 issue of Cat-Man Comics #1 was produced by Helnit Publishing, which was also owned by Frank Temerson. The name "Helnit" was derived from the first syllables of Temerson's two youngest sisters, Helen and Nita. 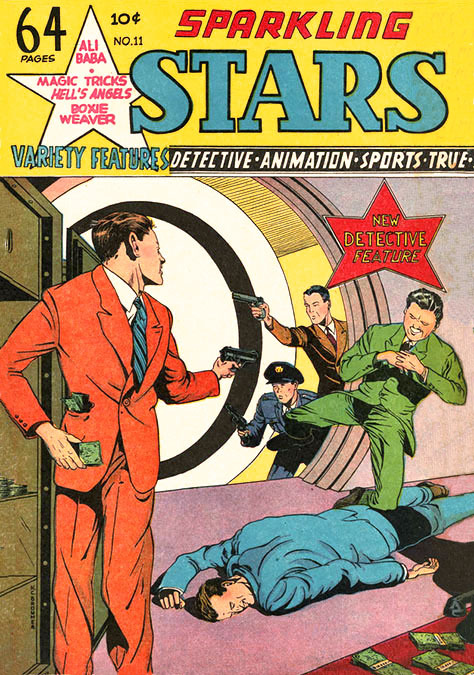 Artists who drew for this comic included Charles Quinlan (1901-1953), Jack Alderman (1916-1997) and Chris R. Schaare. Cat-Man Comics featured full-page advertisements for "Wings Of America," produced by Helnit Publishing at 220 West 42nd Street. 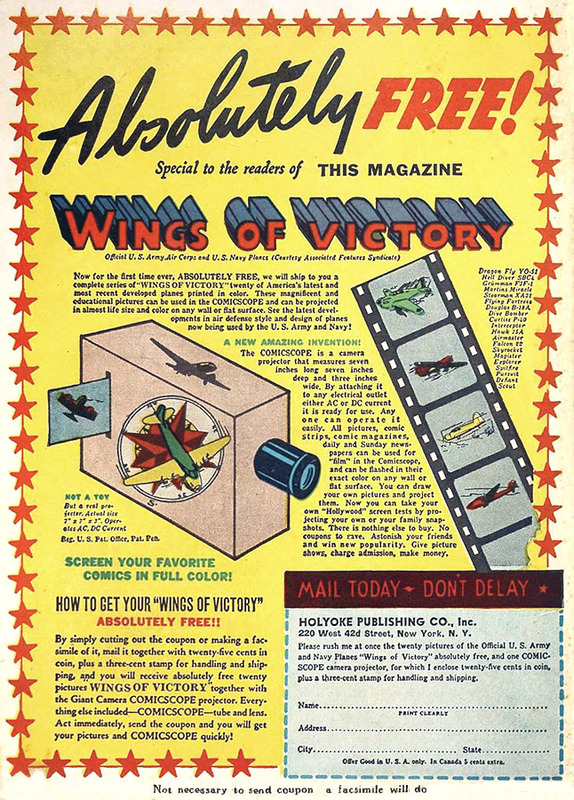 "Wings Of America" was in fact a toy projector, known as the "Comic Scope," which was patented months earlier by Victor S. Fox and Robert Farrell. In July of 1941, as our English and European allies were at war with Nazi Germany, the U.S. Office of Production Management ordered all civilian factories to reduce their consumption of Chlorine by forty-percent, because it was needed to manufacture explosives. That resulted in a forty-percent reduction in paper production, which led to a nationwide paper shortage. The government organized industrial boards to supervise the fair distribution of rationed materials. 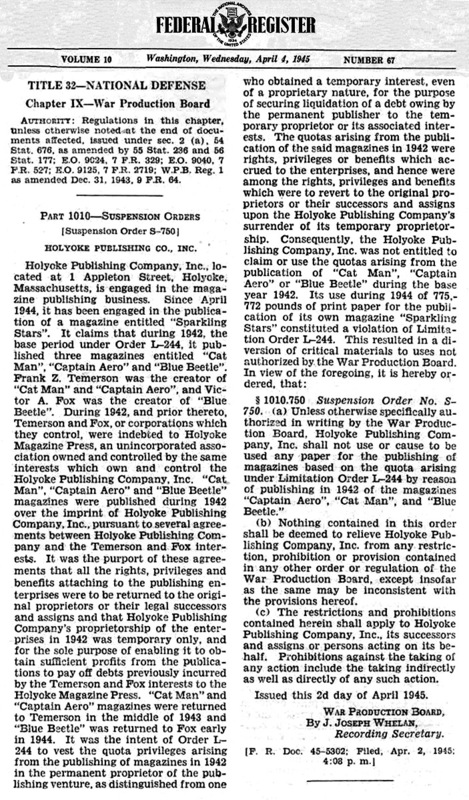 A few weeks before the Japanese sneak attack on Pearl Harbor, a brand new company, named Holyoke Publishing, became the publisher of Cat-Man Comics and Captain Aero Comics. The indicia in subsequent issues listed the publisher as the Holyoke Publishing Company, 1 Appleton Street, Holyoke, MA. 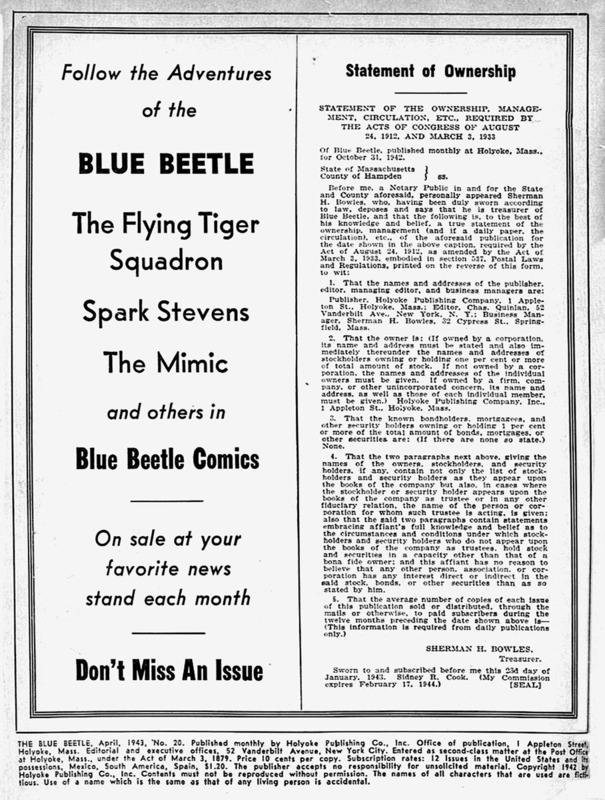 A few months later, Holyoke also acquired Blue Beetle Comics from Victor S. Fox. 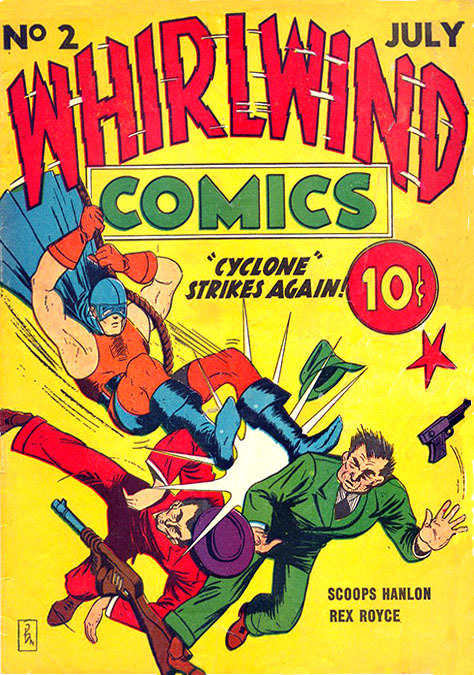 Artists who contributed to this comic included Dan Barry (1923-1997), Joe Kubert (1926-2012) and Carmine Infantino (1925-2013). It is important to note that these comics all continued to carry full-page advertisements for various versions of the "Comic Scope," but they were suddenly available from "The Holyoke Publishing Company at 220 West 42nd Street." On April 26, 1942 Sherman Bowles reported for draft registration as required by law for all men under the age of sixty-five. He was recorded to be age fifty-two, six-one, 185 pounds, gray eyes, blond hair, ruddy complexion, and a scar on his right cheek. One required question was to provide the "name and address of person who will always know your address." Rather than list his wife or children, he listed his business secretary, Mary E. Gallagher. Her address was listed as 32 Cypress Street, which was the Bowles printing plant. She was born in 1903 in West Springfield, the daughter of Frank Gallagher and Florence Mahoney. She graduated from West Springfield High School in 1921 and then began to work for Sherman Bowles as a purchasing agent and eventually became personnel director. 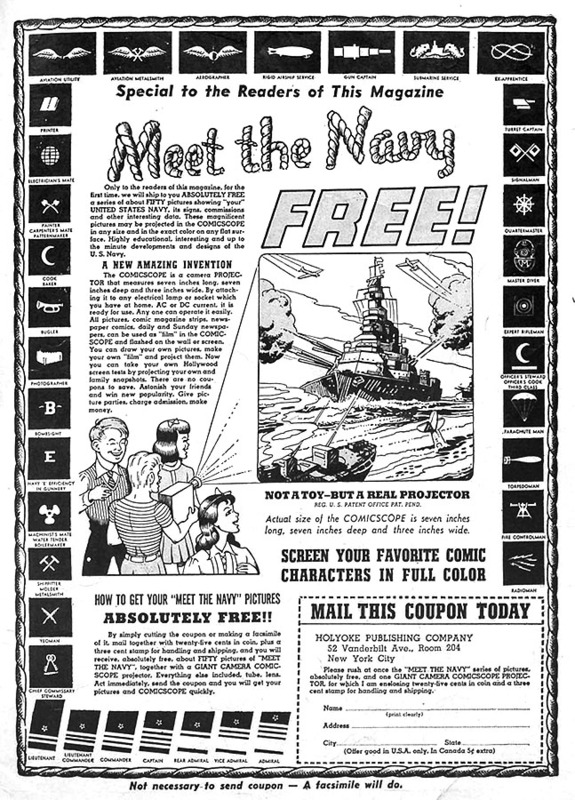 The 1942-06 issue of The Blue Beetle included a full-page ad for "Meet The Navy," which was a naval version of "Wings Of America," yet another version of the "Comic Scope," owned by Victor Fox and Robert Farrell. 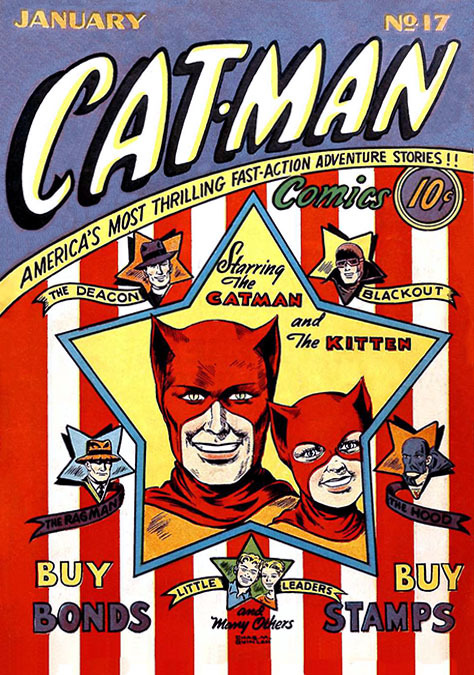 The issue of Cat-Man Comics, dated August-September 1942, listed a new company address for Holyoke Publishing at 52 Vanderbilt Avenue in NYC. According to The New York Times, the Phelps Publishing Company had leased office space in 52 Vanderbilt Avenue since 1925. 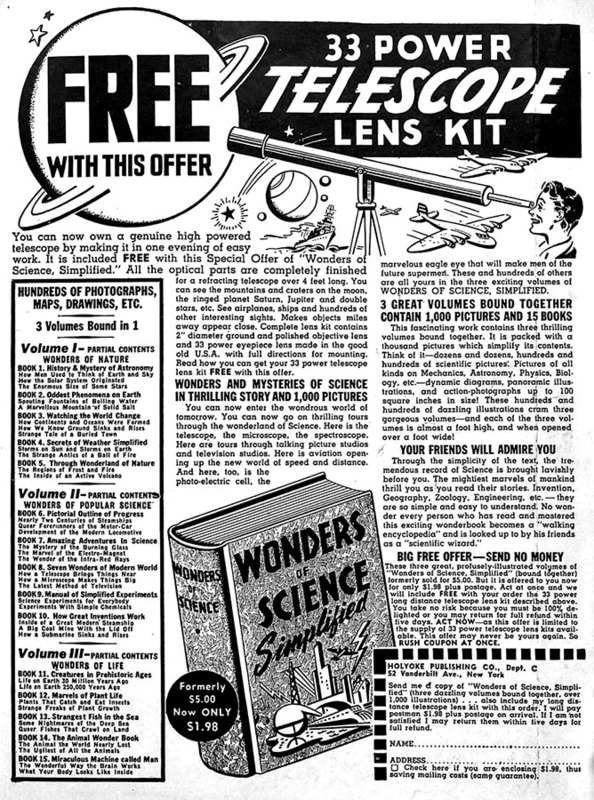 This issue of Cat-Man Comics also featured a full-page advertisement for the "Wonders Of Science" telescope from the "Holyoke Publishing Company" at the same address. The November 1942 issue of Captain Aero included an inside-back-cover advertisement for Wonders Of Science Simplified, produced by the Holyoke Publishing Company at 52 Vanderbilt Avenue, NYC. 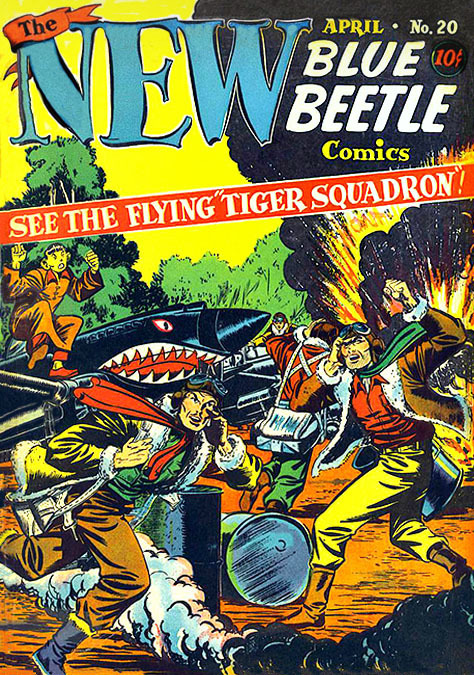 The April 1943 issue of The Blue Beetle listed the Holyoke Publishing Company at 52 Vanderbilt Avenue in NYC, while the corporate headquarters, as well as the printer, were at 1 Appleton Street in Holyoke, MA. 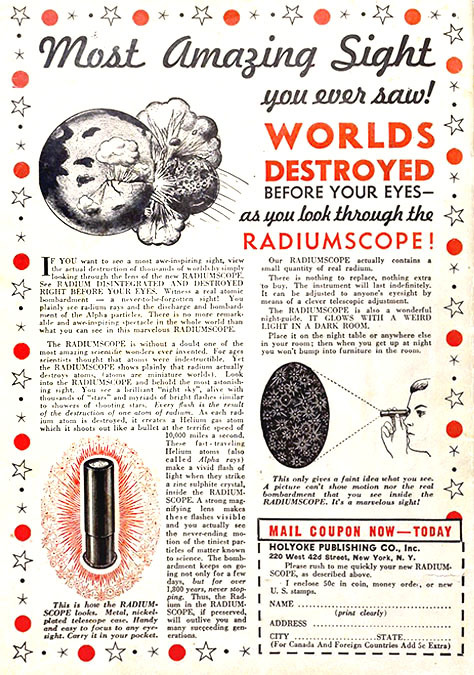 This comic also included an advertisement for the Radium Scope, as well as a Statement of Ownership that identified the Business Manager and Treasurer of the Holyoke Publishing as Sherman Bowles of 32 Cypress Street in Springfield. 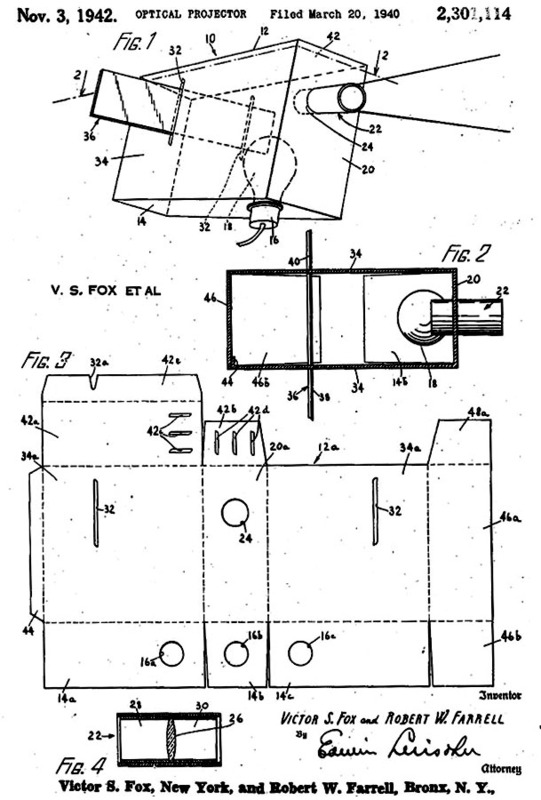 The Notary Public was Sidney R. Cook, who had been Sherman Bowles' business accountant since 1922. Although the company name "Holyoke Publishing" had been listed in comics since February 1942, this April 1943 issue was the first to include a Statement of Ownership that identified the owners of the company. 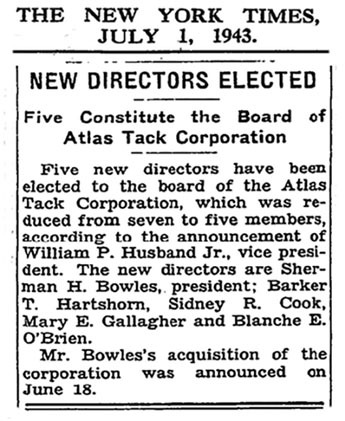 On July 1, 1943 The New York Times reported Sherman Bowles had acquired the Atlas Tack Corporation and appointed Sidney R. Cook and Mary E. Gallagher as new board directors, both of whom were Bowles' employees. On April 28, 1944 The New York Times reported "Holyoke Publishing" had leased office space in NYC at 1475 Broadway at 42nd Street, a 25-story office tower built by Asa Griggs Candler, the owner of Coca-Cola. 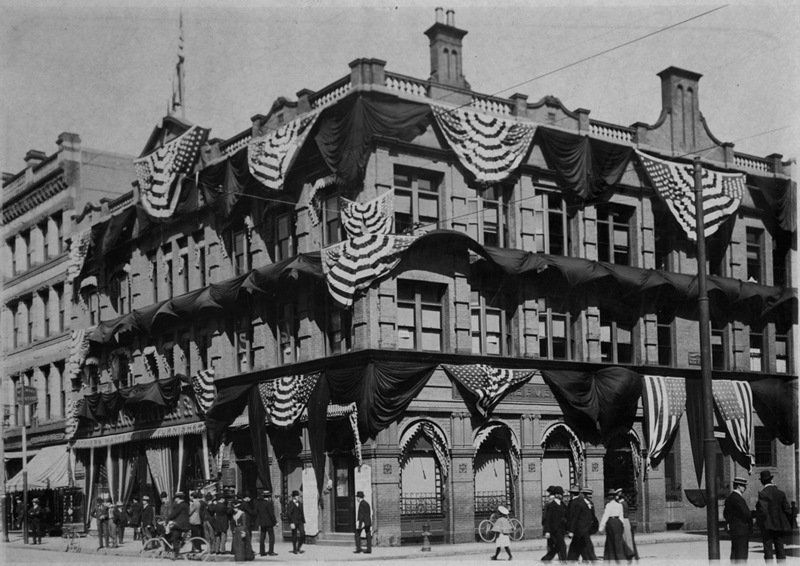 This building had recently been purchased by Irving Maidman, the president of a consortium of investors, which included William Randolph Hearst, Moses Annenberg and ANC. Sherman Bowles owned fifty-percent of the stock of the Republican Company, a holding company that owned his four newspapers. His stock was held in the name of the Springfield Republican-Daily News Employees Beneficial Fund, and the Springfield Union Employees Beneficial Fund, both of which he covertly controlled through proxy trustees. 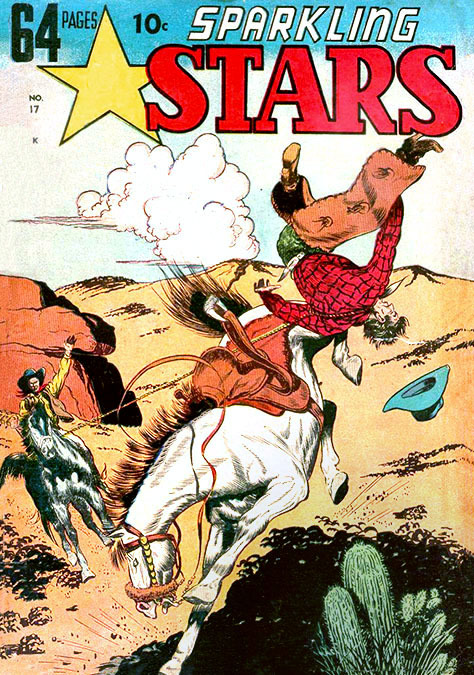 On April 4, 1945 the Federal Register reported the War Production Board had ruled that Sherman Bowles had illegally used 775,772 pounds of print paper to produce his comic book "Sparkling Stars," when in fact that paper was the property of Frank Z. Temerson and Victor Fox, who had temporarily passed proprietorship of their comics, Cat-Man, Captain Aero, and Blue Beetle, to Sherman Bowles in order to repay an outstanding debt. This report in the Federal Register is an important document of the complexities faced by publishers who worked with ANC to provide operating credit for printing, paper, binding and distribution services. In September of 1945 the newspapers of Sherman Bowles were again struck by disgruntled workers. As the strike entered the sixth month, the publisher was charged in Federal Court with failure to pay his workers minimum wages under the Fair Labor Standards Act. On September 26, 1946 The Springfield Republican ceased publication after serving the people of Massachusetts for 122 years. Sherman Bowles ended his family-owned newspaper when he faced another hostile labor strike, in defiance of which he consolidated his resources and resumed publication of only the two most profitable newspapers, The Morning Union and The Daily News. 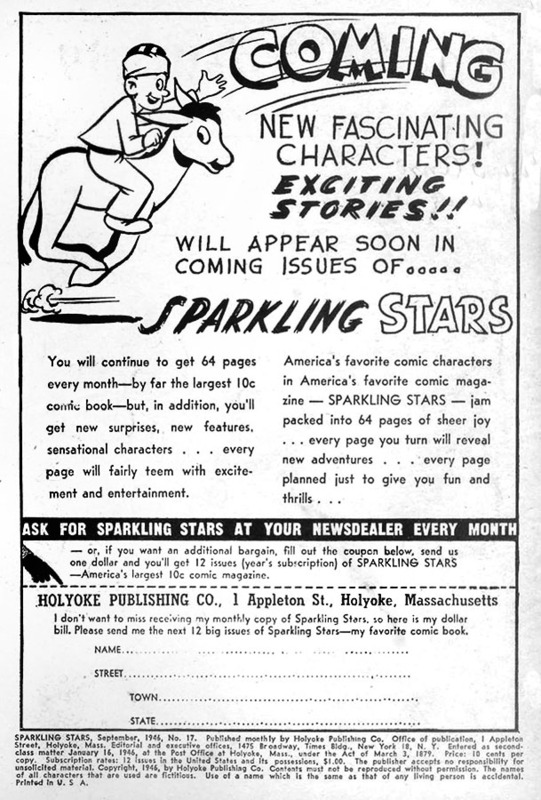 The September 1946 issue of Sparkling Stars included a Statement of Ownership that identified the publisher as Holyoke Publishing Company of Holyoke, MA, the owner was "Miss Mary E. Gallagher," the company president was Sidney R. Cook, and the treasurer was Sherman Bowles, all three of whom were located at 32 Cypress Street in Springfield. Distribution was handled by Kable News Corporation, which was owned by Warren A. Angel and Samuel J. Campbell. The editor was Philip Steinberg at 1475 Broadway in NYC. 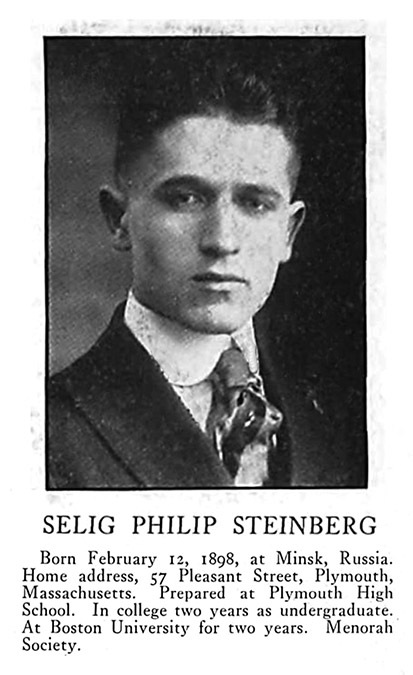 Selig Philip Steinberg was born February 12, 1898 in Russia. He came to America with his family in 1909 and lived in Plymouth, MA. In 1918 he served in Army during the Great War. In 1920 he graduated with a bachelor of science degree from Harvard. 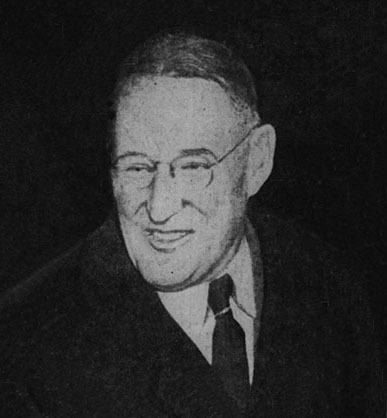 He worked as a reporter for The Greenwich Connecticut Press, and in 1925 he became a financial editor for The Springfield Republican, despite Sherman Bowles' stated aversion to hiring Harvard graduates. In 1929 Philip Steinberg became a financial writer for The Wall Street Journal. During the 1930s he ran an investment advisory service at 30 Broad Street, and was registered with the U.S. Securities and Exchange Commission. In 1942, during WWII he served in the Army Engineers at Camp Myles Standish. In January of 1943 he was hired as an editor at the Holyoke Publishing Company. That same year he married Dorothy Mann in NYC. 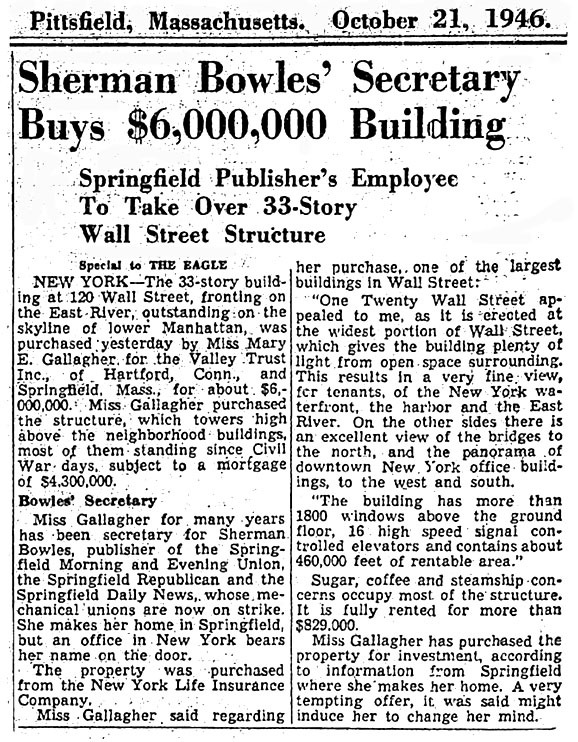 On October 21, 1946, The Pittsfield Massachusetts Eagle reported "Sherman Bowles' Secretary Buys $6,000,000 Building. Springfield Publisher's Employee To Take Over 33-Story Wall Street Structure." Mary E. Gallagher, acting as a proxy for Sherman Bowles, bought one of the largest skyscrapers on Wall Street as an investment for the Valley Trust Company of Springfield, MA, and Hartford, CT. 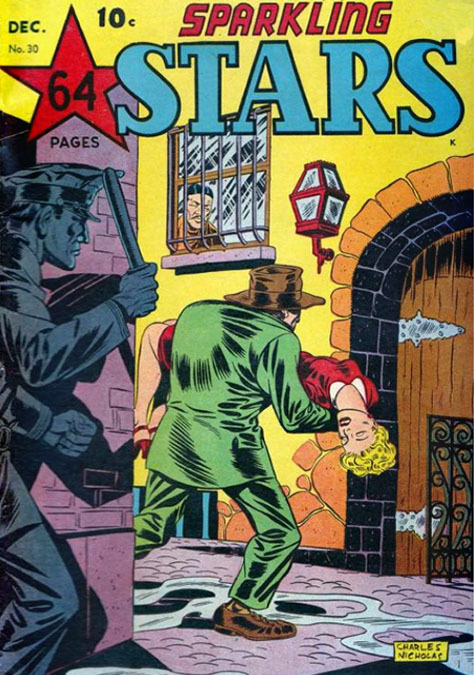 The December 1947 issue of Sparkling Stars #30 also included a Statement of Ownership that again listed the publisher as Holyoke Publishing Company of Holyoke, MA. The owner was Mary E. Gallagher, the company president was Sidney R. Cook, and the treasurer was Sherman Bowles. 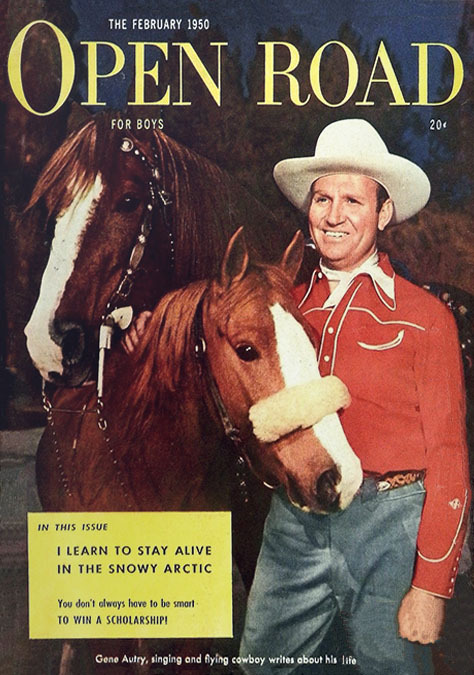 On August 27, 1949 the Holyoke Publishing Company acquired the magazine Open Road For Boys, with a monthly circulation of 400,000. One year later Holyoke Publishing also acquired Outdoorsman Magazine, and later formed American Boy - Open Road, all of which were edited by Philip Steinberg at 1475 Broadway in NYC. By mid-century Sherman Bowles was reputed to be one of the richest men in Massachusetts. Besides his ownership of the tallest building on Wall Street, the tallest building in Springfield, the Holyoke Paper Company, Phelps Publishing Company, and the Atlas Tack Corporation, he also held large interests in the Chicago Great Western Railroad, Thompson's Spa of Boston, Longchamps Restaurant of NYC, Bell Aircraft, and Western Union. He controlled enterprises worth over fifty-million dollars, but his exact worth was never revealed, because he formed the Springfield Republican Daily News Employees' Beneficial Fund and the Springfield Union Employees' Beneficial Fund to conceal the full extent of his personal assets. Each fund was overseen by trustees, such as Mary E. Gallagher and Sidney R. Cook, while Sherman Bowles retained fiscal control as chief financial adviser. In 1950 James A. Falconer retired as president and treasurer of the Phelps Publishing Company. 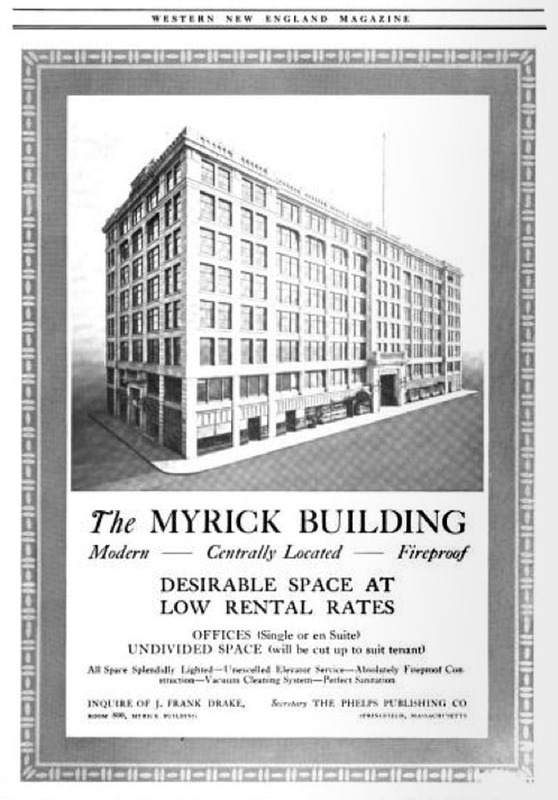 On July 20, 1951 according to The New York Times the Myrick Building of Springfield, MA, was sold. On March 1, 1952 The New York Times reported. "The Phelps Publishing Company, one of the oldest business concerns in Springfield, which prints New England Homestead, The National Grange Monthly, The Catholic Mirror, and other publications, is going out of business. Rising costs are given as the reason for this action." Two days later, on March 3, 1952, Sherman Bowles died of a heart attack at the age of sixty-one in his NYC apartment at 201 East 47th Street. On December 12, 1952 James A. Falconer died at the age of seventy-one. The December 1953 issue of Open Road included a statement of ownership that listed the owners of Holyoke Publishing Company as the "Republican Publishing Company of 32 Cypress Street in Springfield, which is 100% owned by the Republican Company stockholders," who included the Springfield Republican Daily News Employees Beneficial Fund, the Springfield Union Employees' Beneficial Fund, the Estate of Adelaide Bowles, and nine other members of the Bowles family. The company president was listed as Sidney R. Cook and the editor was still Philip Steinberg. 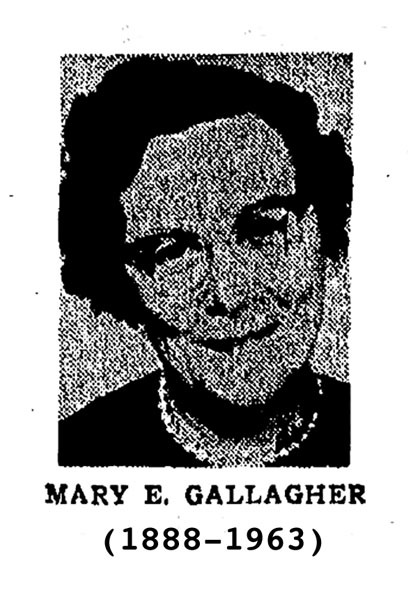 On August 23, 1963 Miss Mary E. Gallagher died at the age of sixty. She left the bulk of her modest estate to the nuns of St. Thomas the Apostle Parish and the Dominican Monastery in West Springfield. In 1960 the Bowles publishing empire was sold by the widow and children of Sherman Bowles to Samuel Irving Newhouse (1895-1979), a media mogul who headed a national syndicate of newspapers and magazines, as well as radio and television broadcasters. On September 4, 1986 Philip Steinberg died at the age of eighty-eight. On August 23, 1987 Sidney R. Cook died at the age of eighty-three.